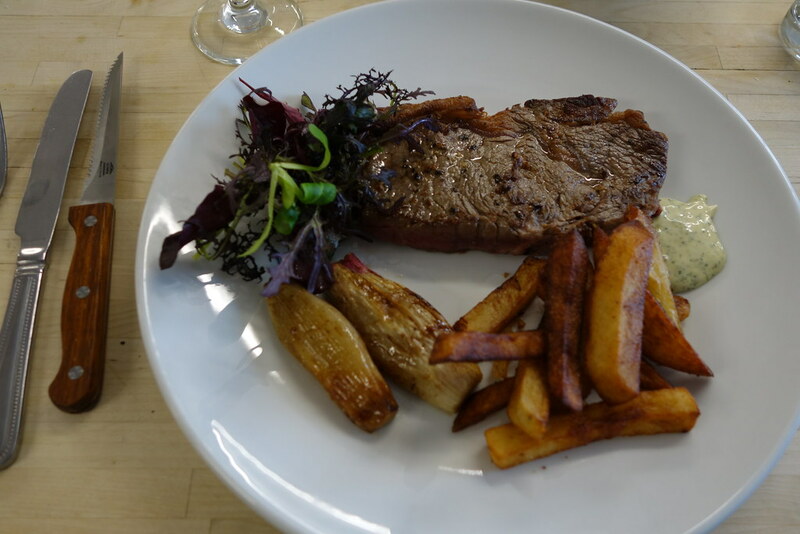 For the second of my courses at Leiths, I learned an invaluable life skill – how to make the perfect steak. I’ve always loved steak – ever since I was a little girl. When I would go back to Japan in the summers, my grandfather would always prepare a steak to which I would compare all other steaks to for the rest of my life – Kobe beef with the most delicious sauce. I used to get homesick for that sauce, but he always kept the recipe close, and when he passed away I thought that the recipe was lost forever. I’ve been cooking steaks more since my course, where I picked up some great tips and knife skills – I can now confidently say that I can whip up a pretty damn good steak. I now know the perfect amount of time to fry my steaks for (a minute and a half each side for medium rare), the right oil (one with a high smoke point, like sunflower, never olive oil) and how to cut an onion like an absolute pro. The men outnumbered the women in the class – mostly those who’d been given the class as a gift for Christmas. 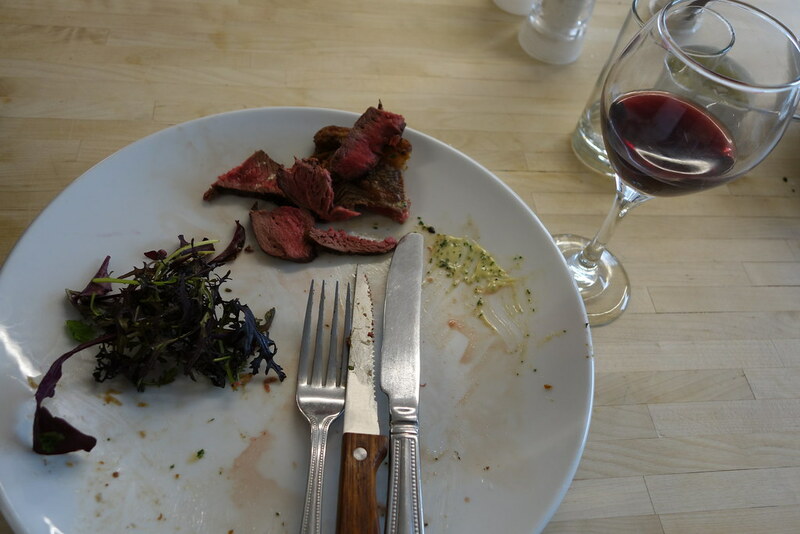 The class was a lot of fun – we practiced our new techniques on a few steaks, and tried our hand at making a few different sauces, including peppercorn, bearnaise and chimichurri. For a dish with relatively few ingredients, there are quite a few moving parts (like how to know when the oil is hot enough!) and my steak cooking skills have most definitely improved as a result. 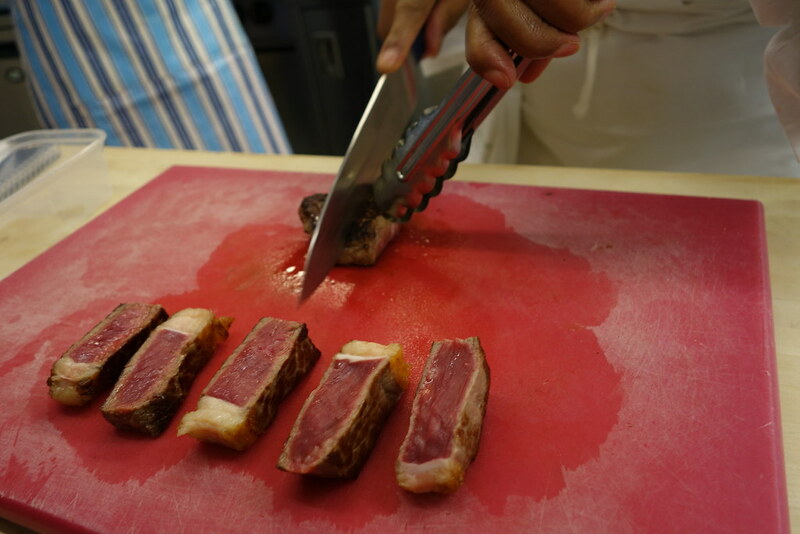 We also got to try different types of steak – fillet, rump, sirloin (my personal favourite! ), rib eye, bavette, kangaroo, venison and buffalo. It was a serious contender for the happiest afternoon I’ve ever had. With all my experimenting, I think I’ve cracked the family sauce, too – so here’s my recipe for the perfect Japanese wafu steak. This is the sauce my grandfather used to make me when I would return to Japan in the summers. 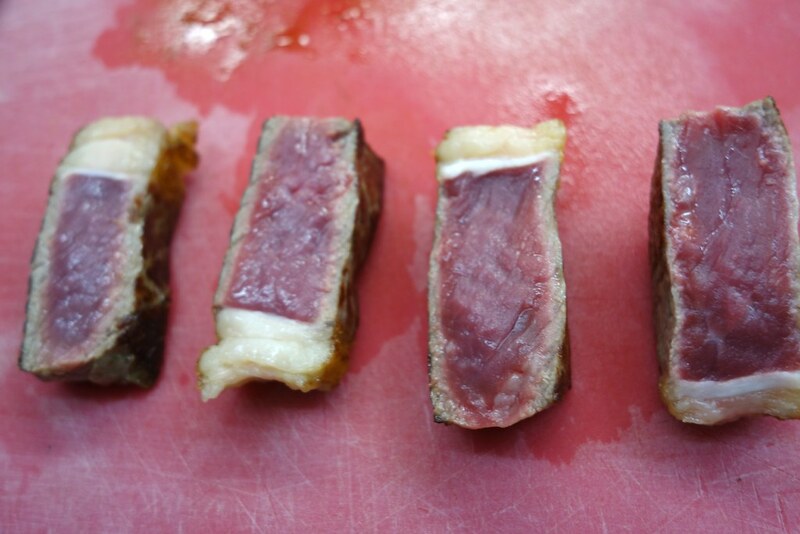 With all my experimenting, I think I’ve cracked the family sauce– so here’s my recipe for the perfect Japanese wafu steak. 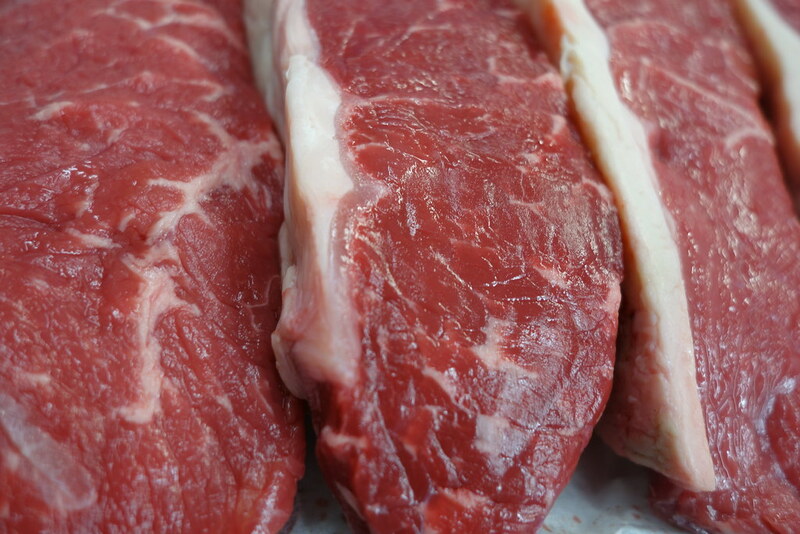 Drain off the excess fat from the frying pan used for the steaks, and discard. Heat the sesame oil in the pan on a medium heat, gently scraping the bottom of the pan. Add the slivers of sliced garlic to the pan, and once browned, take them off of the heat. Place the garlic pieces on some kitchen paper, and add the sake and mirin. Stir constantly until the alcohol in the sake has been cooked off, before adding the soy sauce. Once the soy sauce has been added, turn off the heat but keep the pan on the hob and stir. Sprinkle the garlic pieces over the meat, and ladle the sauce over. Serve the steak cubed, with a side of sesame seed coated spinach, plain rice and miso soup. I loved my courses at Leiths, and will definitely be looking into doing some more in the future! Have you done any courses at Leiths? What was your experience? Be sure to comment below, and be sure to follow me onTwitter, Facebook and Instagram!